A good inventory system is important to a business’ growth. For most industries, inventory ties up cash figuratively; but for financial institutions, branch, ATM, vault and device cash is an FI’s inventory. Like any other business, not enough or too much inventory can be costly to the business and inhibit growth. The Just in Time (JIT) inventory method works to lessen the volume of inventory that a business has on hand, and says that companies can reduce waste and save money by only carrying enough inventory to meet customer demand based on forecasting. The JIT method saves a business on holding costs, but it puts them more at risk for not being able to meet customer demand. Though there is a lot of risk associated with this specific technique, the opportunity for payoff is much higher than other common methods. For a bank or credit union, using the JIT method would result in reducing the amount of cash sitting in the vault, or in other cash points in a branch that is in excess of customer demand. The excess money could then be invested into giving out a variety of loans to increase revenue. If a financial institution chooses to adopt this inventory management method, they need to have an excellent understanding of their customer demand. A JIT method allows for an inventory that will meet demand until the next shipment in inventory, in FI’s case until the armored car arrives. If a branch receives shipments every week, with a JIT method they should keep enough cash on hand to cover typical demand for that branch during that season for the time frame. As any retailer looking to implement a JIT method, a thorough review of inventory demand is necessary; taking into consideration transit-times, seasonality or holidays, and historical trends. However, unlike a typical retailer that for example sells shoes, a FI does need to take into consideration operational minimums. For example, an in-branch ATM must keep a minimum of $10,000 in its cassette for it to function. A shoe store doesn’t need to have a 100 pairs of shoes to continue distributing its inventory. 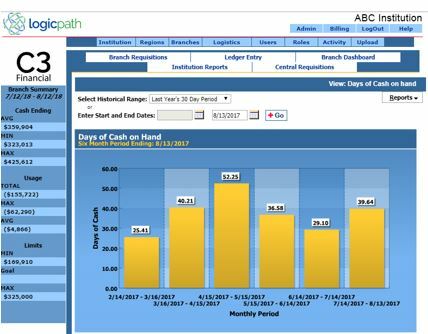 Logicpath’s software, C3 Financial, displays a cash on hand graph to give banks and credit unions confidence they can run a branch’s cash inventory in line with the JIT method. Safety Stock Inventory is a method focused around mitigating problems that could hurt business. Safety Stock is about keeping more inventory on hand to be prepared for unexpected spikes in demand, long lead times, and inaccurate forecasting. For a bank or credit union, this technique is common, and allows the institution to have an inventory to meet a larger amount of unpredictable customer requests. 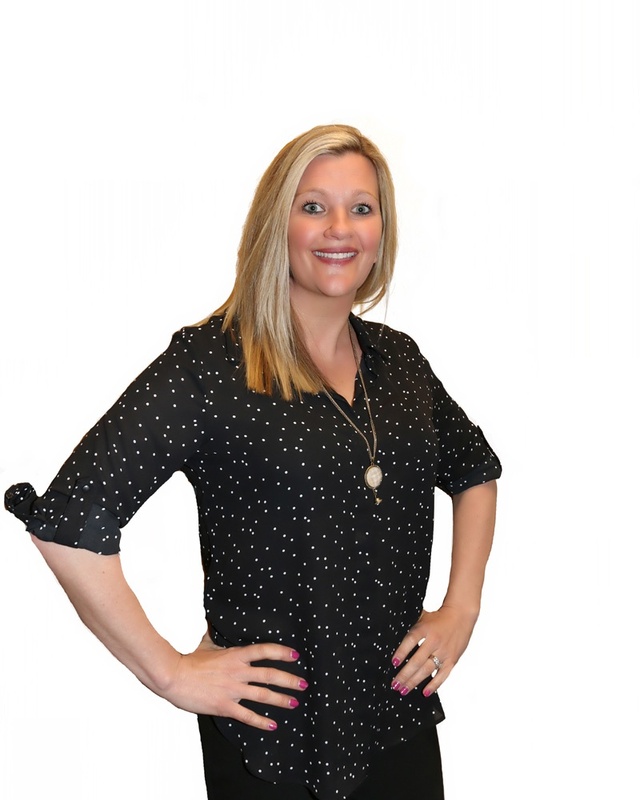 It also creates a buffer for a longer-than-expected lead time with cash orders, and in the case that a FI doesn’t have a good grasp on cash demand, it helps prevent costly emergency shipments from the armored car carrier. With cash being a non-interest earning asset, the downside of the Safety Stock inventory method for an FI is that it can often lead to high cash levels, which puts the branch at unnecessary risk and leaves excess cash lying around, instead of it being put toward increasing profit. A solid inventory system provides a bank or credit union with exactly how much cash they have, forecasts cash demand based on typical inflow and outflow, and accurately predicts how much to order again until the next delivery. Like any retailer, FIs inventory methods must ensure they are able to meet customer requests, but don’t lose out by carrying too much. Have you tried one of these methods at your financial institution? Let us know in the comments below!